It is the year 2005. 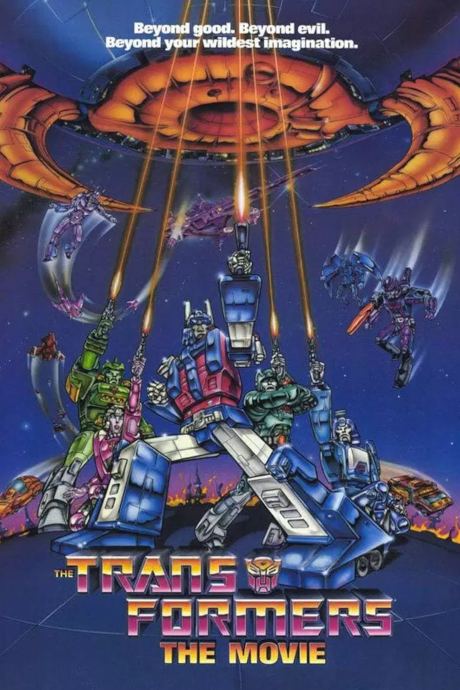 Twenty-one years after the heroic Autobots and the evil Decepticons resumed their neverending war on planet Earth, the Decepticons have conquered the robots' home planet Cybertron. After a surprise attack by the Decepticons, both factions wage a gruesome battle at Autobot City. In the midst of the battle, Autobot leader Optimus Prime dies during his fight with Decepticon leader Megatron. The Autobot Matrix of Leadership is then passed on to second-in-command Ultra Magnus. Meanwhile, a badly-damaged Megatron is jettisoned by Starscream into deep space, where he encounters the planet-eating robot Unicron and is reborn as Galvatron, the new Decepticon leader. With Galvatron's reign on the rise and Unicron's imminent arrival within Cybertron's orbit, the Autobots must act quickly and protect the Matrix or face total annihilation. Amazing soundtrack, hilariously cheesy dialogue, fascinating animation. All you need for a fun watch.